Albert - the BBC's carbon calculator - will now be used by other broadcasters including ITV, Channel 4 and Talkback Thames. The online tool, developed by the BBC last year as part of its sustainability plan, is mandatory for all programme teams in BBC Vision and Children's. Now a BAFTA-led consortia will build on the work and ensure the calculator can be used by any broadcaster and indie. It is thought that the BBC is the first broadcaster in the world to develop a carbon calculator for TV programmes. 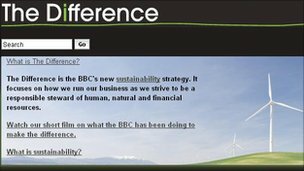 The BBC has set targets for 2013 on its environmental impact, including 20% reductions in energy consumption and 25% reduction in waste to landfill. Other members of the new consortia developing Albert's usage are IMG, Shine, Twofour and Kudos Film and TV, who are supported by a range of technical services.